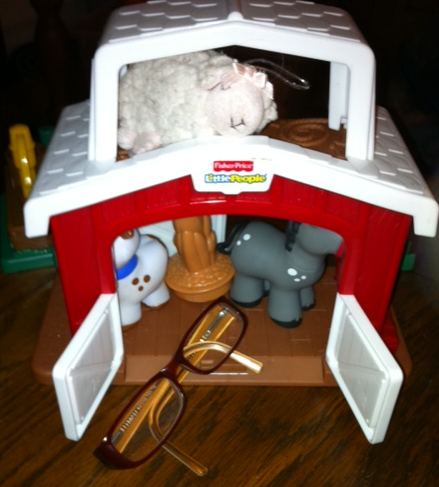 This is second installment in the Little Four Eyes for Kids series. The series is targeted at kids in preschool through kindergarten. I’d love your feedback! 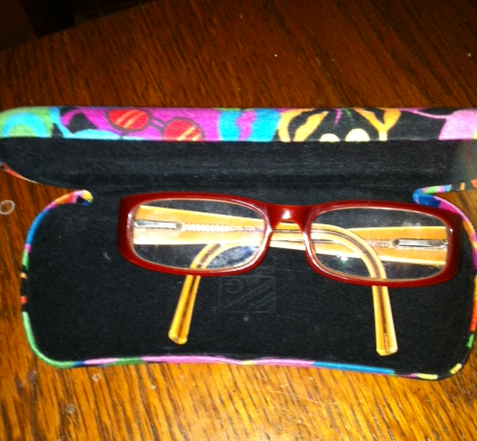 You’re glasses help you to see better, and they look pretty great, too. But there are things you can do to help them! Glasses can break or scratch easily. If they get scratched, it can make it harder for you to see. If they’re broken, you may have to go without glasses for a while until you can get them fixed. 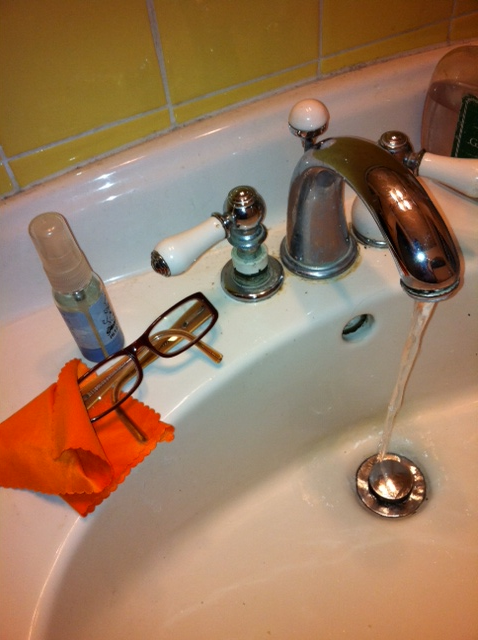 There are special ways to take your glasses on and off, special places to keep your glasses, and special ways to wash your glasses. It might sound like a lot, but it’s really easy! Use both hands when you put your glasses on or take them off. Use one hand on each of the ear pieces. Try not to spread the ear pieces apart too much. Use water to rinse the lenses. If your glasses are very dirty, you can use special lens cleaning spray. Carefully wipe your glasses dry with a soft cloth. Usually your glasses store will give you a special cloth for this. Don’t touch the lenses with your fingers, or you’ll get them smudged and have to clean them again. Where should I keep my glasses? Your glasses should stay on your face most of the time, but there are still times when you need to take them off. Talk to your parents, what are some times that you should take your glasses off? First thing to do when you take your glasses off is to carefully fold them back up. Now you have to find a place to put them! 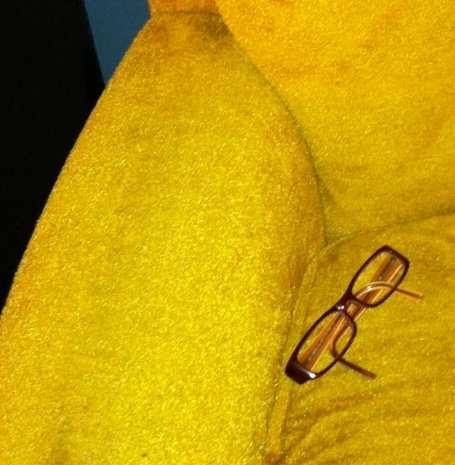 When you aren’t wearing your glasses, they should go somewhere safe, where they won’t be stepped on or sat on or lost. If you set your glasses on a table or shelf, make sure the lenses are facing up. Which of these pictures shows glasses in a safe place? 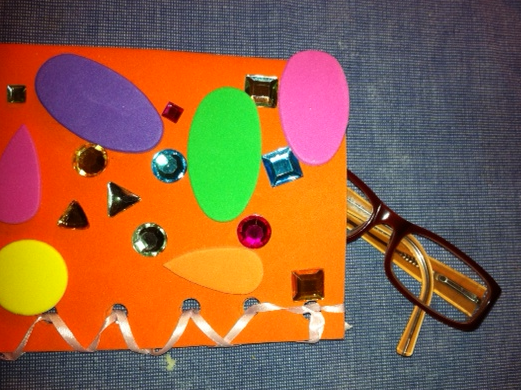 Make your own glasses case! 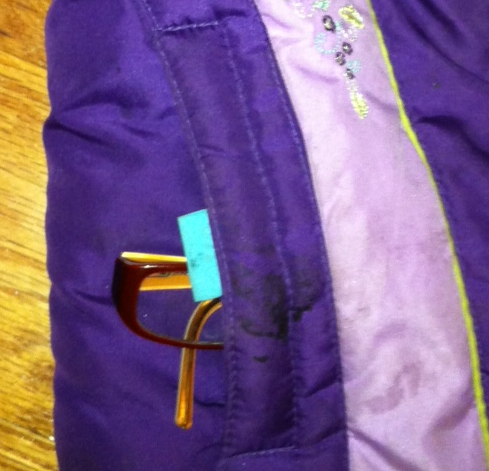 Glasses cases protect your glasses from scratches and falls. It’s good to have more than one glasses case, that way you have them in a few places in your house like your bedroom (for sleeping) and the bathroom (for bath time). Have an adult help you punch holes through one short side and the long side that isn’t folded (since it’s folded, you’ll punch holes through two layers of foam), so you can lace the sides shut. Use the yarn or ribbon to lace the sides together. Decorate the outside of your case with stickers, paint or markers. Make sure any paint or markers are dry before you use your case.